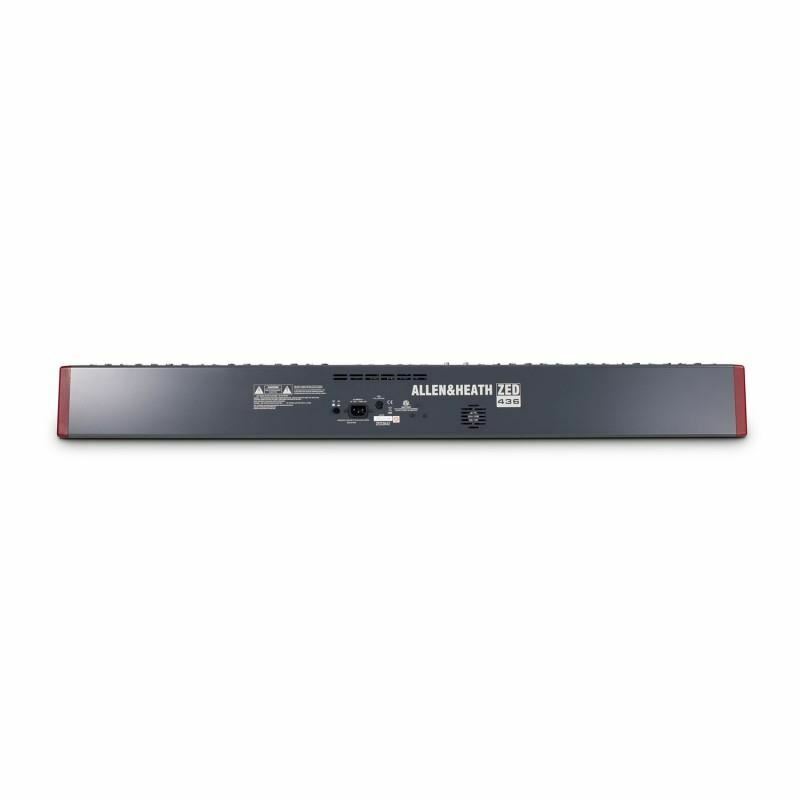 ZED-436 is excellent for bands, houses of worship, theatres or AV applications. 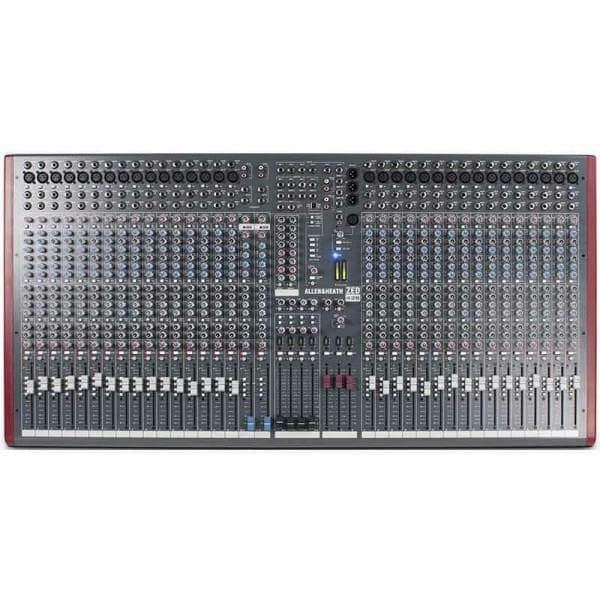 It has a truly professional feature set, which will fit any sound reinforcement application and professional PA hire stock. ZED-436 has Configurable USB audio in/out makes it easy to capture stereo recordings, 32 mic or line inputs plus 2 dual stereo inputs, 4-band EQ with MusiQ, 4 sub-groups, 6 auxiliary sends and a 7x2 matrix. Based on the proven pre-amps from the hugely successful PA series, ZED-436 has DuoPre pre-amps, which use a two stage design, with carefully controlled amounts of gain in each stage. When amplifying the signal from the XLR input, the gain range is huge – 69dB of range to be exact – and is very evenly distributed around the gain control, meaning better control of signal level. Most of the gain comes from the first stage, so unwanted noise is kept to a minimum. Line level signals are simply plugged into the second stage of the pre-amp by using the line input jack socket, which has the great advantage of less noise when using the line input and also matching to a higher input impedance. KM100 - Keyboard AmplifierHartke Keyboard amps are the ideal solution for the player who needs a flexible mix/monitor system to handle a sophisticated instrument rig, and who demands a high-quality amplifier that faithfully reproduces the sound, nuances, and soul of their performance.The KM100 has 1..
Yamaha DSR118W Active Subwoofer (Pc)Harga Sepasang Rp.20.900.000The Yamaha DSR118W Active Subwoofer has a compact design and features an all-new 800W Class-D amplifier with PFC (Power Factor Correction) switching mode power supply. It has a maximum SPL of 132dB (peak) and extensive protection of the..
ULTRATONE K450FXUltra-Flexible 45-Watt 3-Channel PA System / Keyboard Amplifier with FX and FBQ Feedback DetectionUltra-flexible 45-Watt 3-channel PA system / keyboard amplifierPowerful 10'' BUGERA speaker for ultimate sound reproductionIntegrated digital FX processor with 100 awesome presets includ..
JBL SRX828SP 18" Dual Self-Powered Subwoofer System..